Kayaking! Is there any better way to explore the great outdoors? 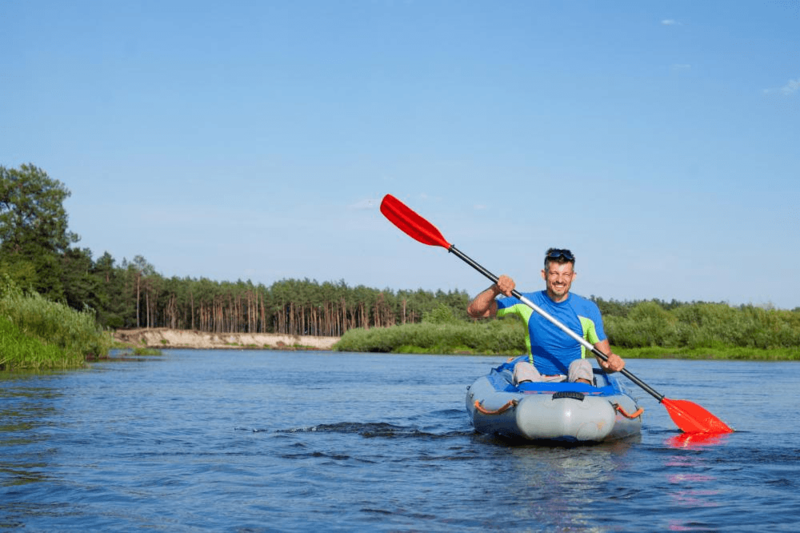 Plotting your course wisely down a calm or relentless stream or river as you navigate your slender and durable kayak through a number of obstacles. Some may say that they get a better view from up high, or even on the river bank. But, those who have been in a kayak will know the truly beautiful vantage point it allows. However, one of the main problems when it comes to the art of kayaking has nothing to do with manoeuvrability or skill. It actually has everything to do with location. Many people that love to kayak, struggle to locate any fantastic locations in which to practice their beloved hobby. If you live in the city, or generally away from any form of countryside, it can be hard to know where to look for the biggest streams, and the most beautiful landscapes. But, you can’t let this challenge dictate to you that you shouldn’t do what you love. 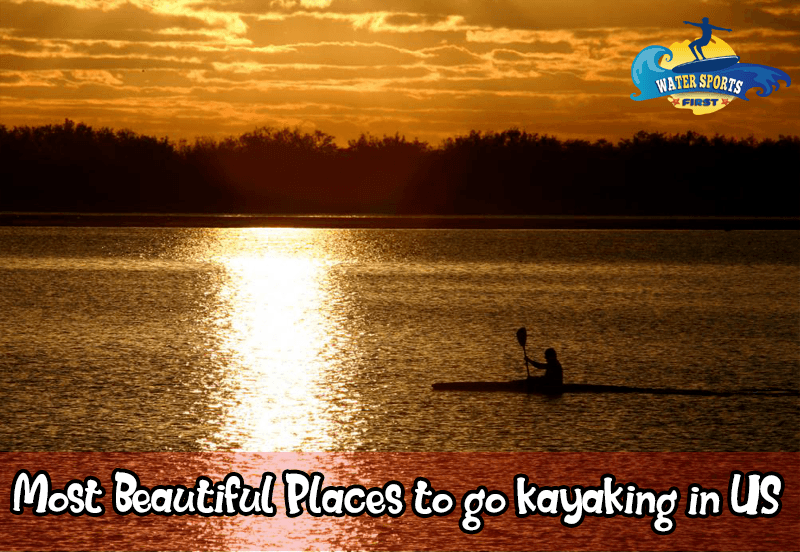 All you need to do is locate the amazing locations on offer near you, in order to rediscover the beauty of kayaking. And, if you live in the US, today is your lucky day, as we are going to detail some of the best places to kayak in the US ! All you need to do is read down this list and find somewhere that is nearby where you reside. And also, don’t forget to share this list with your friends and any kayaking enthusiasts you know. Because before you know it, we’ll have an amazing list of spots shared with the whole kayaking community. What sort of place should I look for? The answer to this question really all depends on what sort of experience you are looking for. If you are looking for a high-intensity white water experience where you have to think quickly to avoid the strong currents and rocks, you’ll want to look for more white-water places where the river runs down streams and other narrow areas. But, if you want a tranquil, peaceful kayaking experience where you can take in some of natures glory, then look for the calmer areas and navigate your way through there. Be sure to know what type of kayaking adventure you want to go on way before you set out to a spot. You might find that that particular location doesn’t offer the experience you are looking for. The Arkansas River is huge. It runs through a multitude of states, and along it you’ll find a wealth of kayaking opportunities. 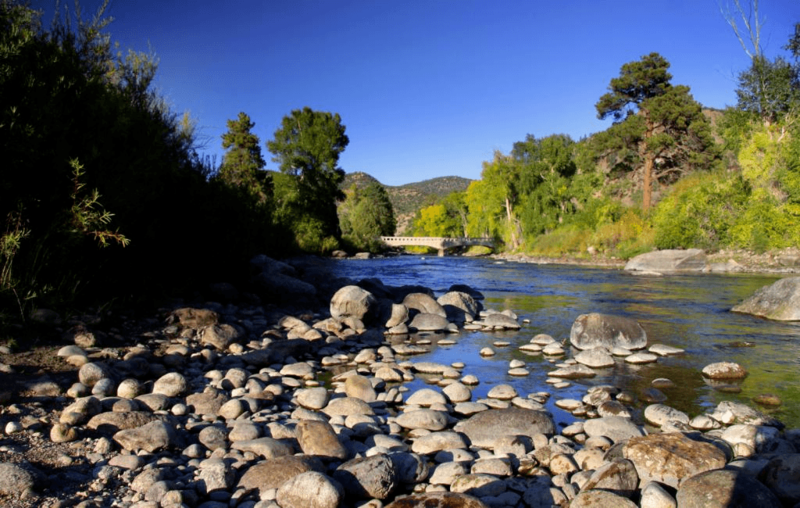 The Colorado area of the river is particularly good for anyone looking to experience the high octane thrills of white-water river. It offers customers the chance to brave some pretty fierce rapids, alongside activities such as zip lining, horseback riding and many, many more. Those looking for a more peaceful experience will find it nearby the Grand Canyon. Float down the calm waters and appreciate the amazing sights of nature, with ideal spots for camping and other activities. We all know the sort of water that Florida is really famous for. Thousands upon thousands of people flock to the beaches there year after year to catch the sun and relax in the sand. But, what many people don’t know is that it also holds a wealth of locations that are fantastic for kayaking. The Indian River Lagoon is one of these places. What makes this particular area so special? Well, because of it’s geographical location, it retains a perfect hybrid of tropical and temperate eco-systems. This means that it’s streams are thriving with breath-taking wildlife. Whether you are fishing for them, or just want to gaze at them, there is no better place to do it than from a kayak gently floating along the water. 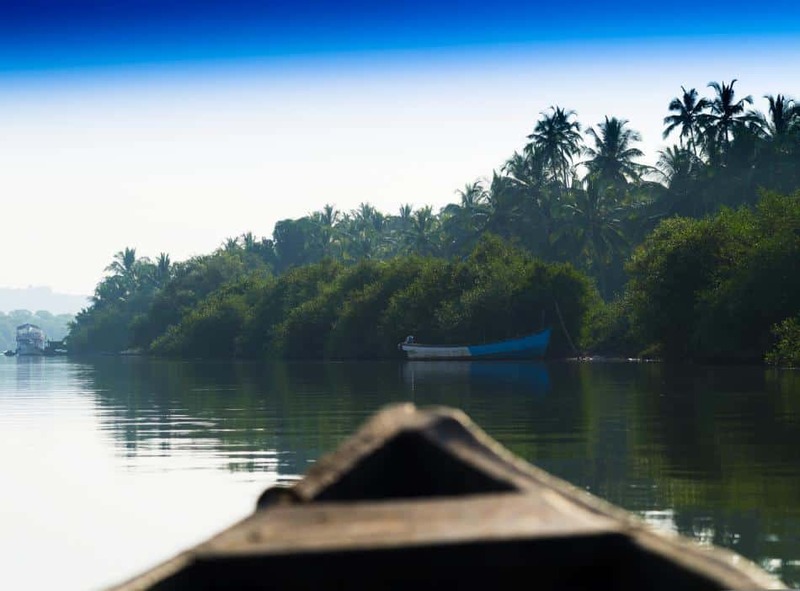 The northern section of the river gives way to scattered mangrove bushes and greenery. One of the best things about this area is that the waterways are equipped with many unofficial launch points too! Tucked away in Southern Carolina, is the Tyger River. Adorned with a wealth of wooded, grassy areas littered with pines, cedars, oaks and elms. The Tyger River is also the habitat of many species of bird, including bald eagles, ospreys and several iterations of waterfowl. Thanks to the efforts of a multitude of preservation societies, the river was restored to a quality fit for public use around 10 years ago. Since then it has been a gem for kayakers and explorers alike. It’s rare wildlife and beautiful plant life lends itself to those that want to take it it’s beauty one stroke at at time. Stretching 105 miles long, the Gauley River is located in West Virginia. Why is it on this list? Well it contains some of the most popular white-water runs in the whole of the Eastern Unites States. Every fall, a plethora of adrenaline enthusiasts flock to the Gauley River. Dropping around 660 feet through 25 miles of rugged terrain, even the most advanced and brave kayakers meet their match here. In a swirl of vigorous rapids, scenic routes and bumpy trips, it remains a favourite for those that like their kayaking a bit more dangerous than usual. From Class III to Class V+, this is not a route for the faint of heart. Noted as one of the most unspoiled rivers in Texas, the Devils River is a kayakers dream come true. The first thing to understand is that this river is quite detached from civilisation, meaning it is untouched in terms of pollution or manmade degradation. And though this means that it’s most special locations require a lot of effort to get to, it also means that you are able to enjoy unspoiled scenery and an untapped wildlife too. Some would call it the best place for kayak fishing in America, but even if you just want to float by the little fishes, it’s perfect too. Though the first part of the river doesn’t lend itself much to kayaking, the best entry point is Texas Highwayer 163. From here, camping sites are available, plus an array of calm rivers ranging from class 2 to class 3. To say it’s the most accessible river would be a lie, but it certainly is a rare and somewhat undiscovered treasure chest of wildlife and tranquil ambience. Asking locals where the best spot to kayak is. Asking if there is any environmental preservation you need to be aware of. Equipping yourself with safety gear and a map of the area. Being wary of any endangered wildlife and plant life. Being aware of any major safety risks and precautions. Spending a bit of money in local areas to help champion and preserve the upkeep of such beautiful places. With all that being said, have the best kayaking experience ever in one of these beautiful locations. And don’t forget to share this amazing list with your friends if they are looking for some unforgettable kayaking locations.